Preheat oven to 375°. Peel and cube butternut squash and toss with 1 T. olive oil and ½ t. coarse salt. Roast cubed butternut squash at 375°F for 25 minutes or until tender, stirring once after 15 minutes. Cook pasta in salted water according to package directions. Reserve ¼ cup pasta water when draining. Wash the brussel sprouts, trim the stem and halve sprouts lengthwise. Heat 2 T. butter in saucepan over medium-high heat. Add sprouts and herbs and a generous sprinkle of coarse salt; sauté for 5 minutes. Add reserved pasta water, cover pan and cook additional 2-3 minutes until sprouts are tender. Remove from heat. 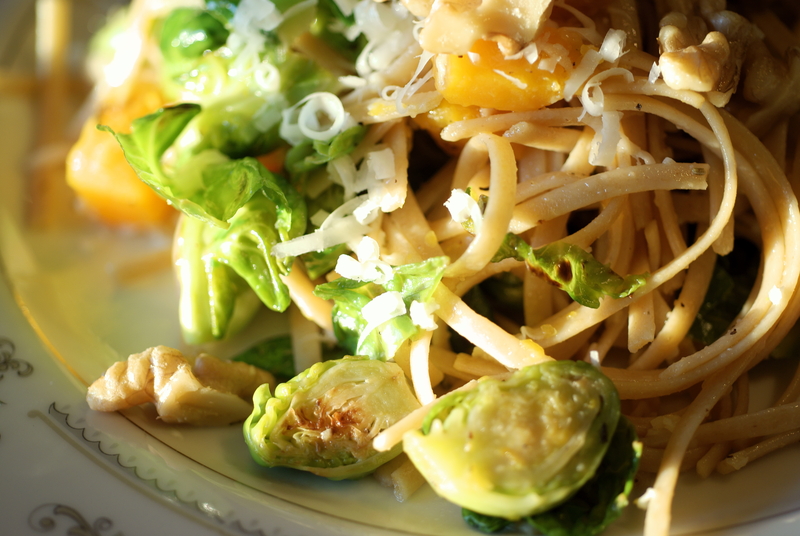 Combine cooked pasta, squash and brussel sprouts. 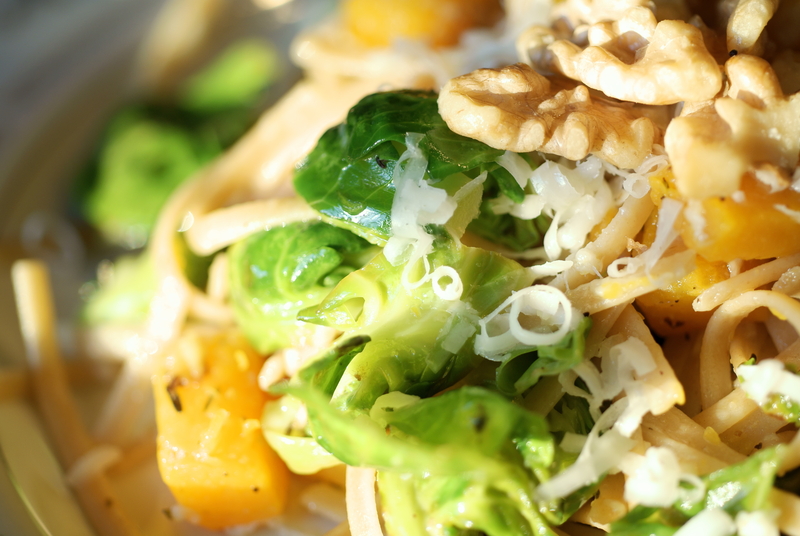 Drizzle with lemon juice, season with salt and pepper to taste; plate and top with toasted walnuts and shredded asiago.